Sometimes when a person has no solid argument to back his viewpoint, he’ll invoke his status as member of a privileged elite. Such credentials might be based on education or experience or one’s lofty position in an organization. But those considerations should carry no weight, as they are irrelevant to one’s position or reasoning. 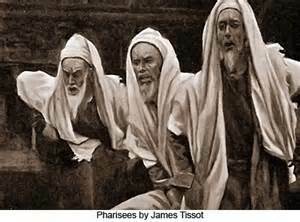 The Pharisees dispatch a posse of soldiers to arrest Jesus and bring him back to them for questioning. John doesn’t add their response, but I would have loved to be a fly on the wall back at army headquarters! One clue that never fails to tip us off is when someone sidesteps the issue completely. Of course there are many ways to do that, all of them Fallacies of Relevance. Sometimes they work, however, as many a parent will attest.